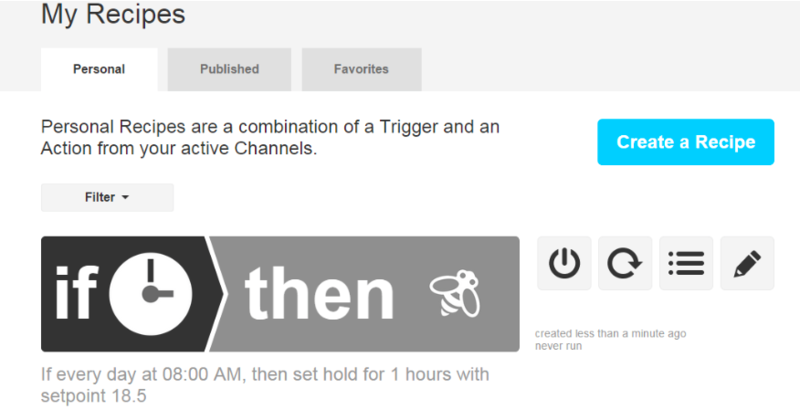 Why is my IFTTT recipe not working? 1. Make sure that your recipe is Enabled. If it is grey such as in the picture below, it is Disabled. 2. Try the Check recipe now button and see if the recipe runs. 3. Check your Recipe log for errors. Why is my ecobee not performing any IFTTT actions? Why am I not receiving IFTTT events from my ecobee?